Project Doomjockey is a remix album based on the music from Doom. the goal was to experiment with creating various electronic-styled remixes of the OST, to make it stand out from most of the rock and metal remixes that the game's music spawns. the project was never finished, and languished in hell for years, until i decided to touch it up and release it in the state it was in. 17 of the game's 22 tracks are remixed in various styles. you may use these tracks for any of your Doom projects, as long as credit is given for them. special thanks to Jimmy for massively reducing the file size of E2M8 since many years back, as well as for making the fonts displayed in the TITLEPIC and M_DOOM lumps. i hope you'll enjoy this remix project. Last edited by Princess Viscra Maelstrom on Wed Apr 17, 2019 6:49 am, edited 3 times in total. 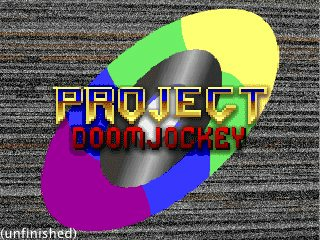 Re: Project Doomjockey: A Doom Music Remix Project (E1 DEMO! You've got some really great remixes here, nice work! this is simultaneously a big update and an insignificant one. after some soul-searching, i realized i don't have the motivation to finish this project, so i was thinking of canning it entirely. however, upon revisiting the tracks i had made here, i felt that what i had done with the project already was pretty good, and that it was so close to being finished anyway, that i'm going to release this project in the state it is in. this means that Project Doomjockey is now finished, at least as well as it could have been. all the tracks i've remixed here (sans Untitled because i canned that one completely) can be used freely for your own mods, as long as credit is given. all the tracks have been touched up slightly, to iron out the kinks and make everything sound better. some tracks had minor modifications, others had much bigger changes to their song structure. i'm sorry it took so long to get done. i was really stubborn about not releasing this earlier. i hope that the wait wasn't too bad, as the project is in a much better state now.